From my personal collection. Francisco custom built this for me. Recently I fell in love with the sound of a Bouchet. 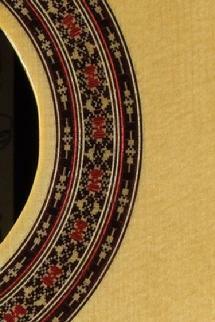 But with all due respect Bouchet’s rosettes and headstocks were not inspired. 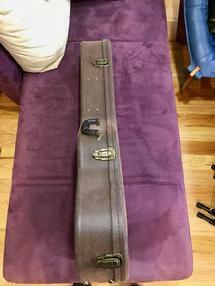 And since I was only concerned with the Bouchet sound and didn’t especially care about historical authenticity, I decided I might as well get a good looking guitar as well. 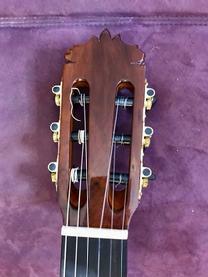 I asked Francisco first and foremost for Bouchet bracing, and then to design his own rosette and headstock, and he made a beautiful headstock and a stunning rosette. 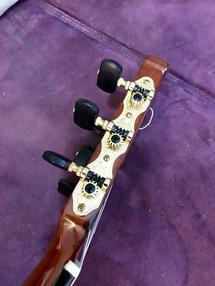 I also wanted a twelve hole bridge and no French polish. The final result is all Bouchet on the inside and all gorgeous on the outside. Needless to say it sounds great. 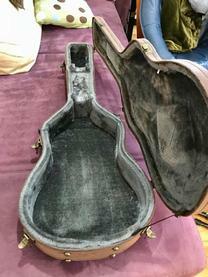 I have had this guitar for about seven months. 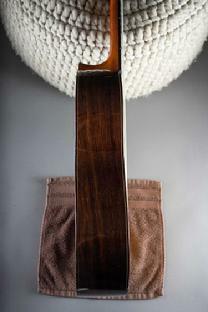 It has always been humidified, has been kept in my humidity and temperature controlled room where I keep all guitars. It has been played very lightly, and is in 100% mint condition. I have changed my program from half classical/half flamenco to all flamenco. 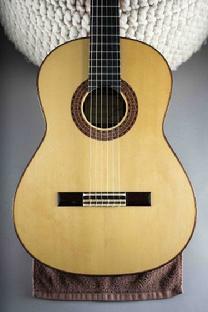 Consequently, I am selling all of my classical guitars except one special one. 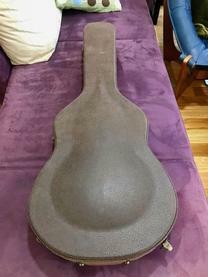 A new Deluxe hard shell case is included, and free shipping. 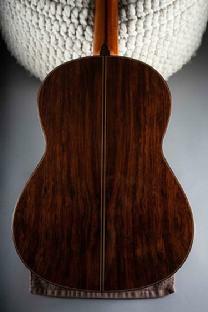 Ramon Amira Guitars has been in business for thirty-five years, with a sterling reputation for honesty, integrity, communication, and low prices. 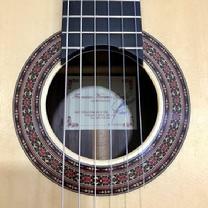 Guitarists have said to me that this is "a dream come true" for any buyer, to know that the guitar they are purchasing has passed muster with a professional guitarist. 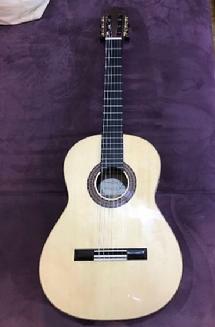 So if you buy a classical or flamenco guitar from me, you can rest assured that I personally have examined and played your guitar with the same care that I would use if I were buying it for myself.